Gambling behavior presents a broad variety of individual differences, with a continuum ranging from nongamblers to pathological gamblers. The reward network has been proposed to be critical in gambling behavior, but little is known about the behavioral and neural mechanisms underlying individual differences that depend on gambling preference. The main goals of the present study were to explore brain oscillatory responses to gambling outcomes in regular gamblers and to assess differences between strategic gamblers, nonstrategic gamblers, and nongamblers. In all, 54 healthy volunteers participated in the study. Electroencephalography was recorded while participants were playing a slot machine task that delivered win, near-miss, and full-miss outcomes. Behaviorally, regular gamblers selected a larger percentage of risky bets, especially when they could select the image to play. The time–frequency results showed larger oscillatory theta power increases to near-misses and increased beta power to win outcomes for regular gamblers, as compared to nongamblers. Moreover, theta oscillatory activity after wins was only increased in nonstrategic gamblers, revealing differences between the two groups of gamblers. 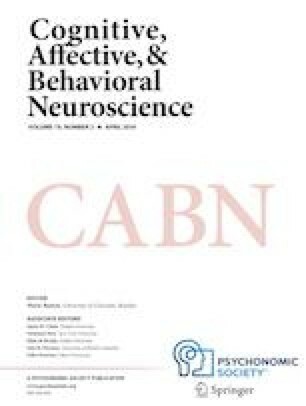 The present results reveal differences between regular gamblers and nongamblers in both their behavioral and neural responses to gambling outcomes. Moreover, the results suggest that different brain oscillatory mechanisms might underlie the studied gambling profiles, which might have implications for both basic and clinical studies.